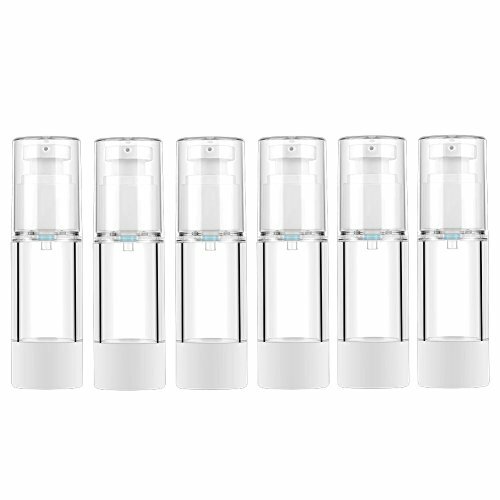 Description:1.The Airless Pump Bottle will help to minimize waste as product is being pushed up to the pump via a disk. 2.Withstands altitude changes without leaks Perfect for travel or home use. 3.Easy to dismantle and Re filling. Note: Please be filled with lotion before you install the goods Bayonet. LONGWAY INC. turns to researching and manufacturing safe, fashionable, environmental and economical oriented products, creating values for our clients is our final target. At the current state, our products basically come down to the plastic packaging of personal-care supplies, cleaning supplies, perfume, cosmetic, pharmaceuticals and foodstuff, etc. PARAMETER: Material: Plastic (PET) Products Size: Diameter1.38 inch x Height 5.12 inch (Diameter 35 mm x Height 130 mm) Capacity: 2oz (60ml) Package Weight: 1 lb (453g) Color: Transparent TIPS: The application temperature range from -4℉ to 140℉, so do not use the hot water to clean it. Features: Bottom diameter: 3.3 cm/1.29 inch. Height: 13 cm/5.1 inch. Capacity: 50 ml/1.7 oz. Material:Plastic High-capacity and small light weight,can easy to carry. 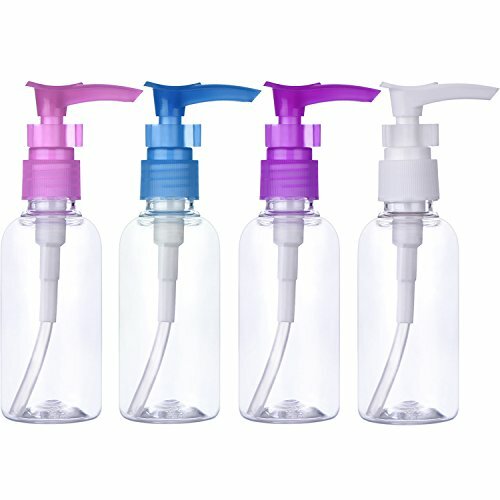 It is a foamer pump bottle.Clear plastic spray bottle Fits for Soap, Dispenser, Makeup and Shampoo. Ratio between lotion and water is 1:9. Please shake the bottle after put lotion and water into it to make foam. Easy to open and refill. Package include: 2 Pcs empty bottle Feedback: We greatly appreciate your Positive feedback. Please do not leave negative feedback or submit A-Z Claim without any contact. If you haven't received item in time, please contact us and we will solve it for you. LONGWAY INC. turns to researching and manufacturing safe, fashionable, environmental and economical oriented products, creating values for our clients is our final target. 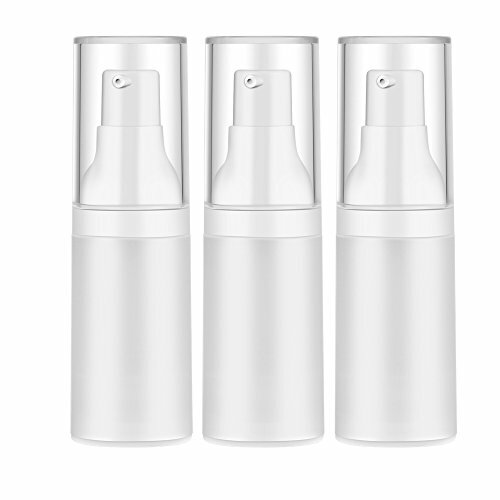 At the current state, our products basically come down to the plastic packaging of personal-care supplies, cleaning supplies, perfume, cosmetic, pharmaceuticals and foodstuff, etc. 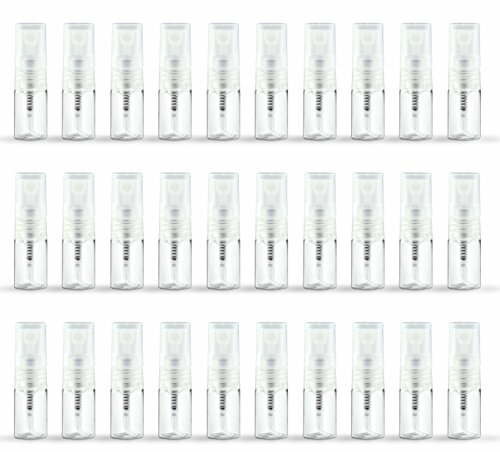 PARAMETER: Material: Plastic Package Size: Diameter 1.26 inch x Height 4.64 inch (Diameter 32mm x Height 118mm) Capacity: 1oz (30ml) Package Weight: 0.68lbs (310g) Colour: White TIPS: 1. The product has the capability of weak acid resistance, very suitable for lotion, foundation, serums, creams, moisturizers or DIY skin care cosmetic products.Do not take in food or drink or liquid such as oil, essential oils, strong acids. 2. The application temperature range from -4℉ to 140℉, so do not use the hot water to clean it. 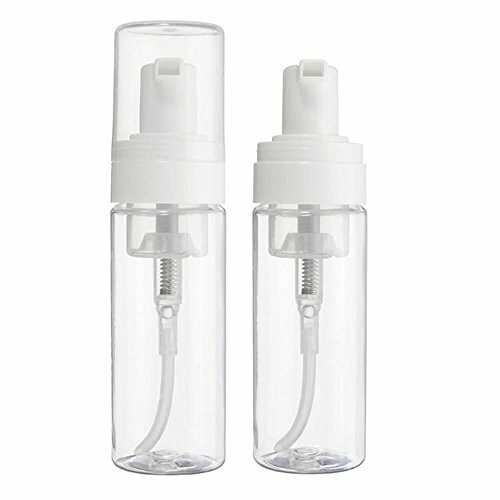 KEAIYYJ Clear Mini Empty Foaming Liquid Soap Pump BottlesMaterial: PETG(Compared with PET, the greatest characteristic of PETG is that it conforms to the concepts of environmental protection and food certification.) Environmental protection materialsBPA Free How to judge whether it is applicable? Please add some water to the liquid, rub it in your hands, if it can froth, and there is no other impurities, you can use it. Use steps 1 prepare the bubbling bottle, unscrew the bottle cap, and prepare the products that can be frothing. 2 pour the product into the bottle, add 3-8 times of water according to the product, tighten the bottle cap. 3 shake gently and press gently, and the rich and delicate bubbles come out. 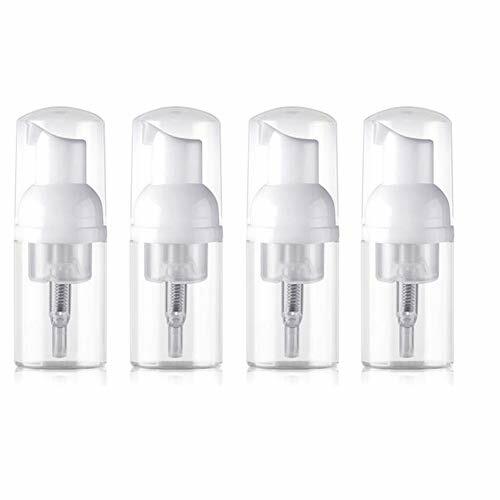 Package Include: 30 Pack Set Mini Spray Bottle and 1ML Dropper, Capacity: 2ML Size:4.8CM Refillable for longterm use: Easy to refill and reuse, the long term value of these bottles is significant. Greatly reduces the waste when compared to disposable store-bought bottles. They are also perfect for taking along in a purse, briefcase, or daypack. 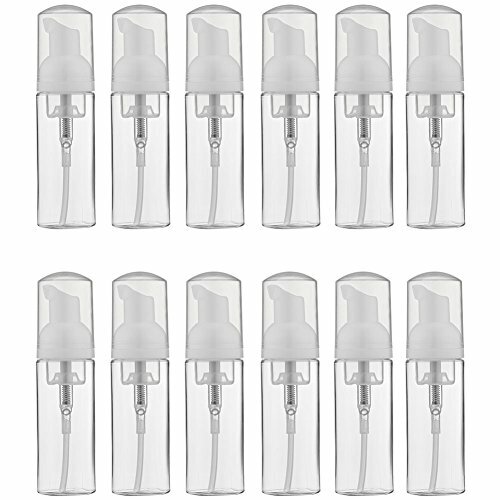 These vials make a great economical way to give out lots of samples at tradeshows and meetings. 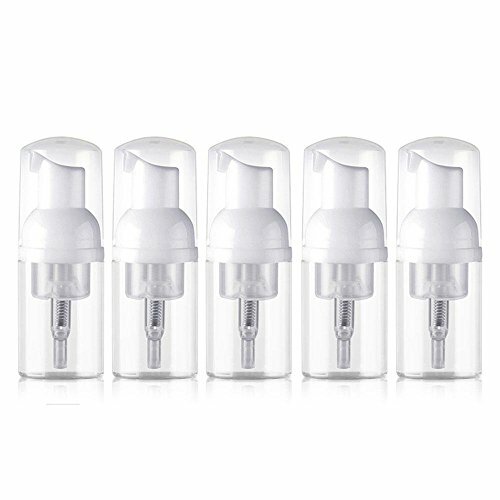 IHUIXINHE High Quality Refillable Airless Bottles can be reused and refilled, useful tools for daily skin care & travelling!Material: PlasticColor: TransparentPackage includes:1*10ml + 1*15ml Cream Lotion Bottle;1*10ml + 1*15ml Mist Spray Bottle; 1* Soap Mesh Bag FreeMist Spray Bottle:--Capacity: 10ML & 15ML--Vacuum bottle, will prevent product come in contact with oxygen during use.-- All bottles come complete with sprayers, reduce waste of cosmetics.--For Perfume & Liquids. 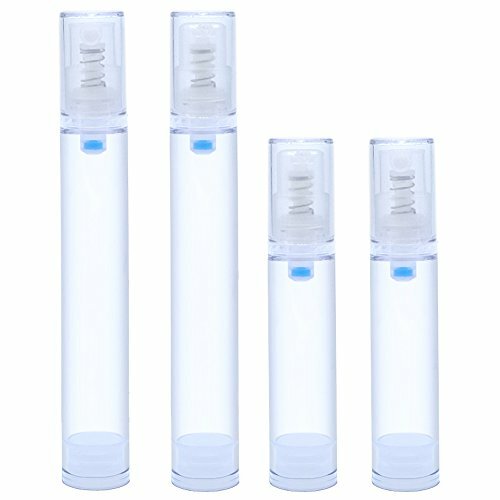 Perfect for applying essential fragrance or perfume, and spray directly for your skin.Cream Lotion Bottle:--Capacity: 10ML & 15ML--Vacuum bottle, will prevent product come in contact with oxygen during use.--Pumping mouth design, help to minimize waste.--Suitable for storing serums, creams, lotions, moisturizers and other formulations. Shopping Results for "Mini Pump Bottle"